North African country home to world's largest solar power complex. Morocco is willing to share its experience in sustainable energy with Vietnamese enterprises, according to Mr. Mustapha Sellam, Director of the Noor Ouarzazate Solar Power Complex under the Morocco Agency for Sustainable Energy (Masen). He also told VET that it expects greater cooperation in the sector with Vietnam in the future. Masen has taken specific actions to reach its goals. The Noor Ouarzazate Solar Complex is its most outstanding project, developed 10 km north-east of the city of Ouarzazate and the largest solar complex in the world. Phase 1 of the project involved the construction of a 160 MW concentrated solar power (CSP) plant called Noor I, while Phase 2 involved the construction of the 200 MW Noor II CSP plant and the 150 MW Noor III CSP plant. Phase 3 will see the construction of the Noor IV CSP plant. Noor I and Noor II, Mr. Sellam said, have been put into operation, while Noor III and Noor IV are expected to be completed this year. Total investment capital is some $9 billion. Along with the benefits from saving energy, the Noor complex also brings economic benefits to local citizens, he added. 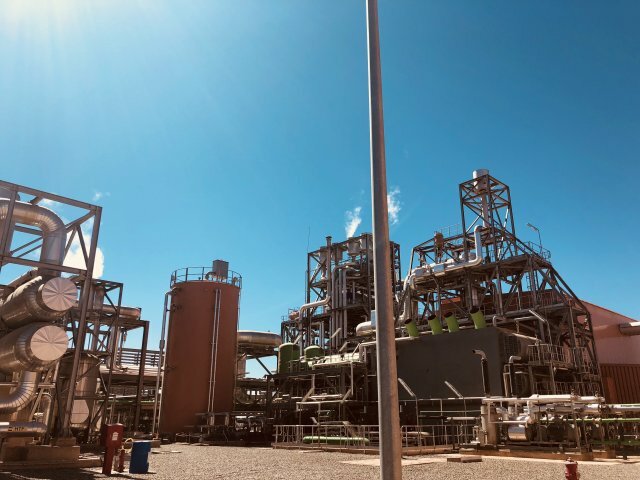 The project is being developed on a build, own, operate and transfer (BOOT) basis by ACWA Power Ouarzazate, a consortium of ACWA Power, Masen, Aries and TSK. The solar complex will be operated and maintained by a consortium led by NOMAC, a subsidiary of ACWA Power, and Masen. The project forms part of the Moroccan Solar Energy Programme (NOOR), which aims to develop five solar complexes with a combined capacity of approximately 2 GW by 2020 to meet the energy demands of the country, which must import 95 per cent of its power. 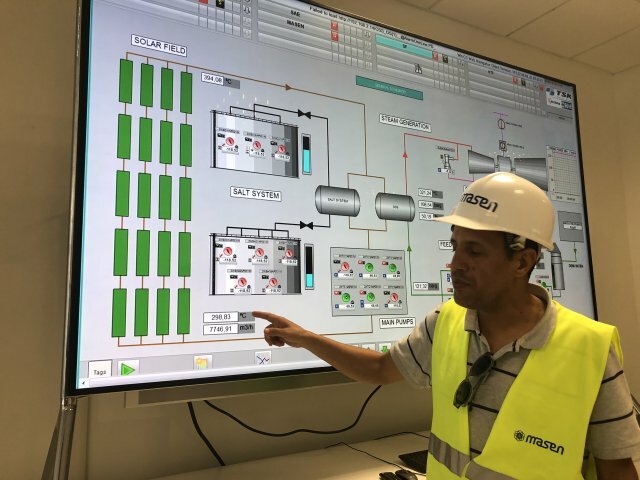 The Noor I CSP plant is expected to offset 240,000 tons a year of CO2 emissions and generate approximately 1,000 construction jobs and 60 permanent jobs during the operations and maintenance phase. The Noor II and Noor III plants combined will help offset 533,000 tons of CO2 emissions a year. The engineering, procurement and construction (EPC) contractor for Phase 1 is the TSK Electronic consortium, whereas the EPC contractor for Phase 2 is a consortium led by Sener and Sepco III. Technical advisory services for Phase 2 were provided by Lahmeyer International and the specific environmental and social impact assessment (SESIA). Masen is responsible for managing renewable energy in Morocco. It leads development programs of integrated projects aimed at creating an additional 3,000 MW of clean electricity generation capacity by 2020 and a further 6,000 MW by 2030.The goal is to secure 52 per cent of the country’s energy mix from renewable sources by 2030.